A service provided by Merit Consulting, Inc. Welcome to Lifeline, an unique outplacement service available to today’s progressive companies seeking a more innovative approach than traditional outplacement services. Lifeline offers a blend of the best in traditional outplacement services, combined with proven executive search methods to help outplaced professionals properly conduct a successful career transition. Our passion, combined with our proven ability to successfully place mid and senior level talent is the foundation of our success. We have the desire and ability to educate, mentor, coach and provide executive search services to executives who have been downsized. It is the right personal and professional service needed in this turbulent and uncertain job market. Lifeline is a service provided by Merit Consulting, which has extensive experience in human capital development, organizational assessment and executive recruitment in many industries and functional areas. Lifeline’s primary focus is to provide outplacement services to downsized employees in a wide range of companies, or those executives that desire to make a career/industry change. Our level of expertise is with mid and senior-level (manager, director, vice president, president, C-level) professionals. Examples of our successes include the areas of Operations Management, Engineering, Quality, Supply Chain/Logistics, Technology/Research and Development, Human Resources, Finance/Accounting, Sales and Marketing and IT. The process of a career change, or exit from your former employer, can be difficult and expensive. Lifeline helps you to assess the present situation, analyze available options, develop a change strategy and execute the tactics so that an Executive does not just let the market control their destiny. Our unique approach is not typically offered in traditional outplacement firms. Typical services provided by outplacement firms stop when the candidate, or firm, sends out marketing material to a prospective employer. 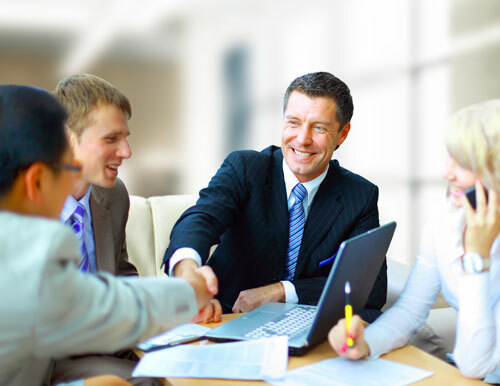 Our approach makes direct contact with the key decision makers that are on an Executive’s list of target companies. We employ the same principles and practices that help us service our hiring company clientele, but now provide these tactical approaches used in executive search to help Executives find their next opportunity. The primary difference in the Lifeline process is the support we provide to those who are uncertain how to manage the dynamics of an effective search. This is precisely the time when Executives need more than the typical outplacement service. When key opportunities are surfaced, professionals need the assistance of a seasoned executive search consultant to help them maneuver through the various recruiting phases … starting with the first introduction, to offer and acceptance. An experienced consultant who will support and coach Executives through this process is the key element. We assign an “advisor” who serves as an “agent” to the outplaced Executive, much like an agent would direct the next business transaction for a highly compensated athlete or entertainer. Our experienced executive search consultants carefully listen, strategize and help to direct search efforts effectively. Our experience has demonstrated that if Executives are equipped with the proper instruction, mentoring, and executive recruitment support, they will have the confidence and enthusiasm to re-enter the market more quickly than those who attempt it on their own, or through traditional outplacement. The Merit partners who support the Lifeline program have significant consulting and executive search experience with large Fortune 100 public and private companies, as well as mid cap companies, and private equity owned businesses. We educate and continually motivate outplaced executives to use the right search tools on the Internet to identify opportunities and help with contacting the decision-makers. Our expertise in recruitment will maximize the efforts of the Executive in a way that is best aligned with their goals and qualifications. This approach typically reduces the unemployment time period and improves the candidate’s chance of finding an employer that best suits their professional and personal background. Lifeline is a systematic approach which offers one-on-one outplacement and executive recruitment assistance to Executives in career transition. The current economic climate is not friendly to those who are going to approach a job search on their own. Merit Consulting’s Lifeline program combines the talents of highly experienced recruitment professionals with one-on-one attention for each candidate’s tailored career development. When an Executive works closely with a dedicated Lifeline Advisor, they will feel better about themselves and will be highly motivated to conduct a job search. Consequently, they will have a higher probability of finding the right kind of employment in a shorter period of time. If you are a recently displaced professional, and would prefer this service in lieu of the traditional outplacement programs offered by most employers, you may want to contact your former employer and request the Merit Lifeline outplacement program… it will be the best use of your time when managing your career transition.